I'm Here. I'm Queer. What the Hell do I read? : I'm an "Indie Success Story" in Publishers Weekly! 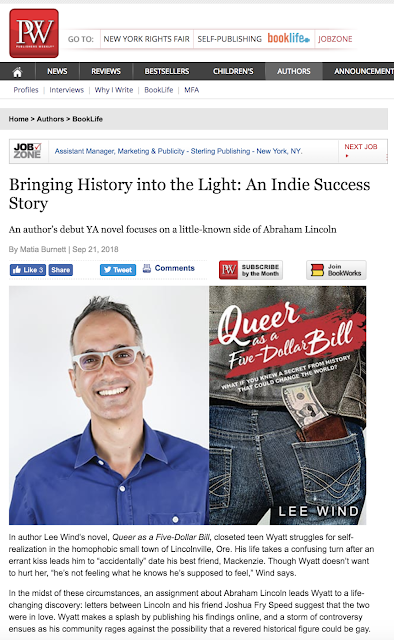 I'm an "Indie Success Story" in Publishers Weekly! This feature in Publishers Weekly, "Bringing History into the Light: An Indie Success Story" by Matia Burnett is wonderful! 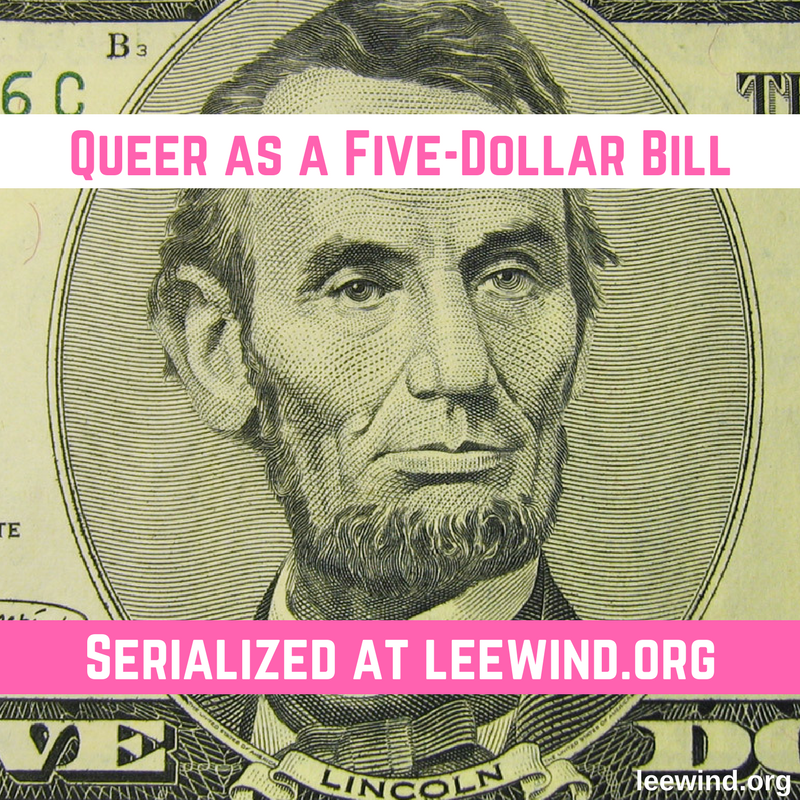 I'm so grateful that more people will find out about both the real historical secret (that there are primary source letters from Abraham Lincoln to Joshua Fry Speed that may reveal their having been in love—romantic love) and my novel, Queer as a Five-Dollar Bill that explores what would happen if a closeted gay teen today tried to tell the world about Lincoln's being in love with another guy. Go read the article, and spread the word! 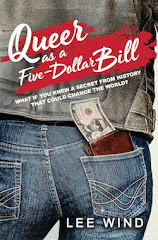 As my book's tagline says, "What if you knew a secret from history that could change the world?" So pleased to see this, Lee! OMG,Lee.. this is fanTABulous ~ and well-deserved recognition for all the blood, sweat and tears you spent giving birth to your book. Congratulations!